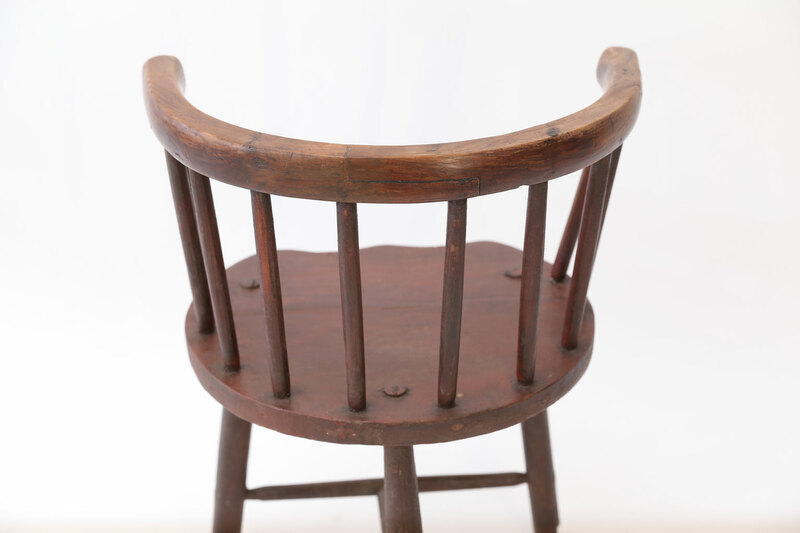 Scottish horseshoe-back chair, circa 1850-1870. 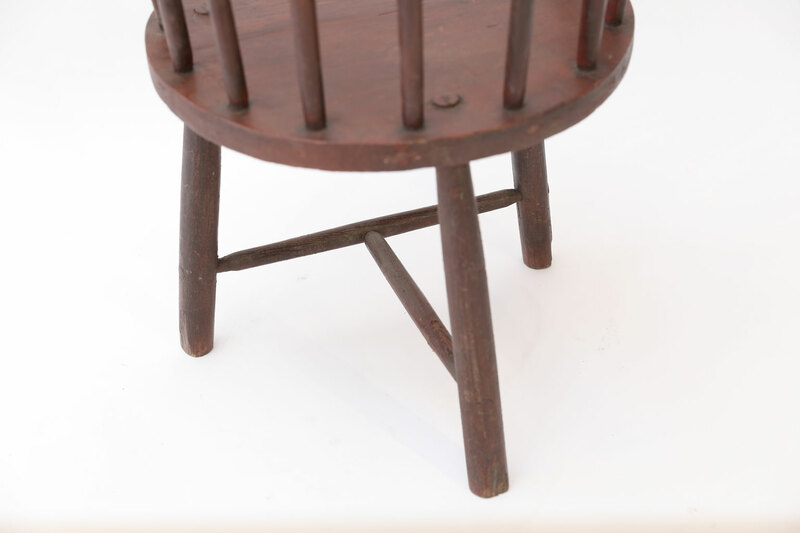 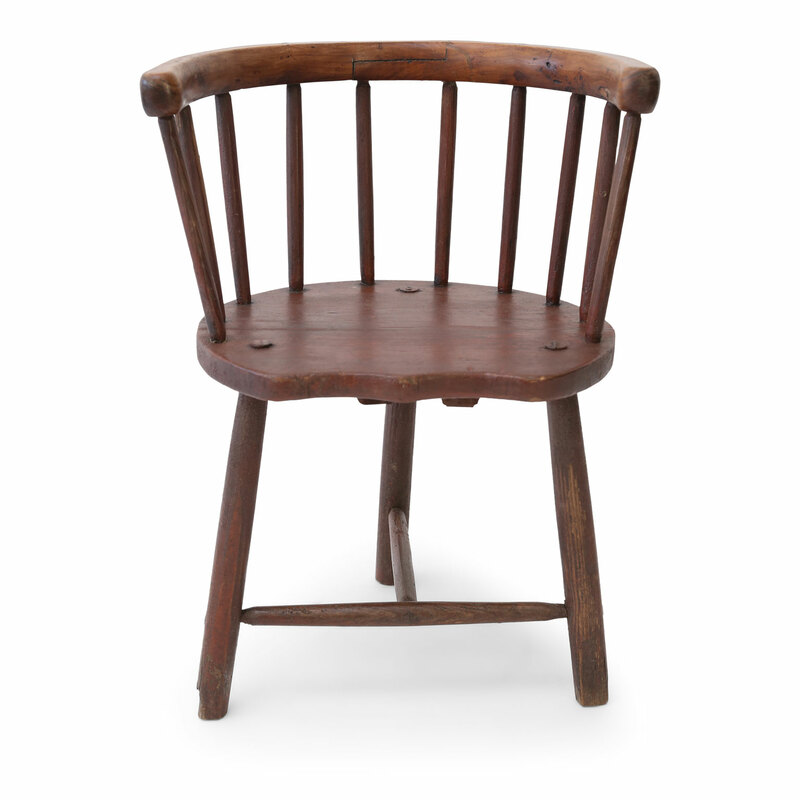 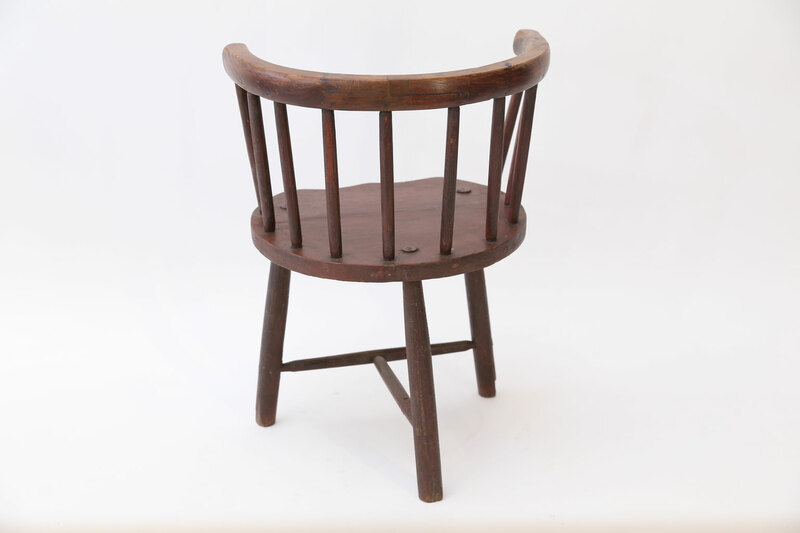 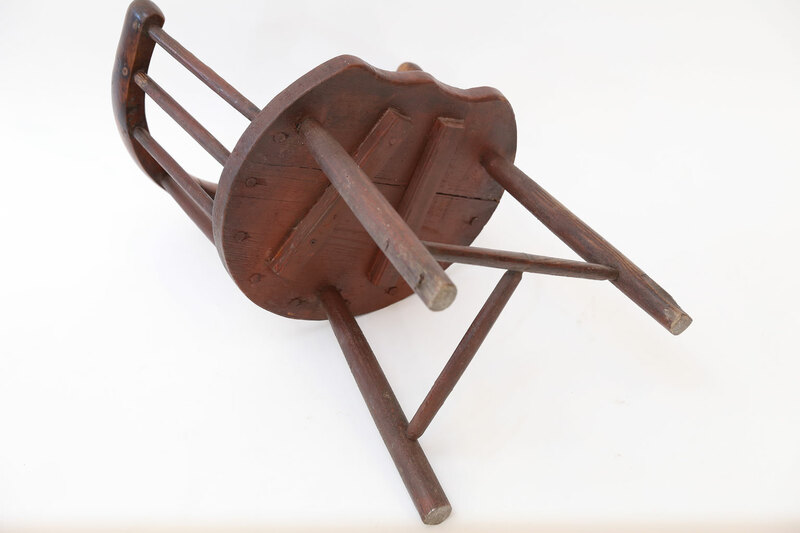 This vernacular chair from Argyll, Scotland, features pegged construction and remnants of original earthy red paint. 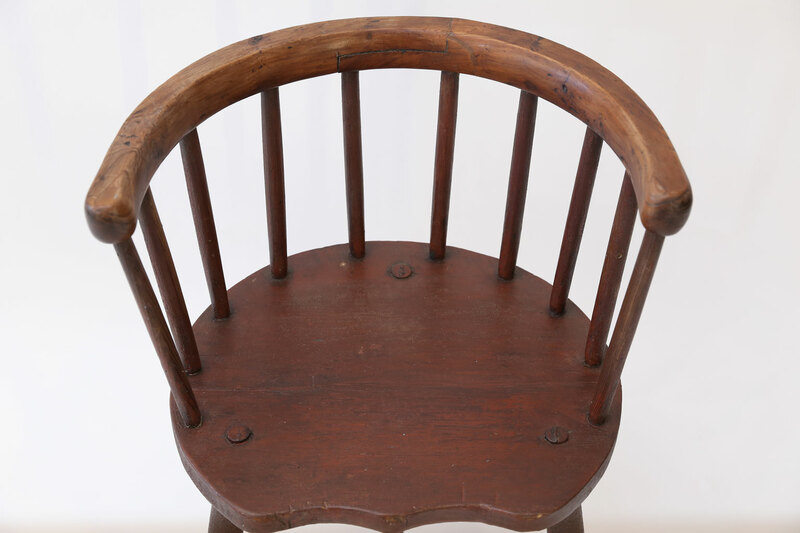 Its seat is pine, legs and spindles are elm and the horseshoe back rail is yew wood. 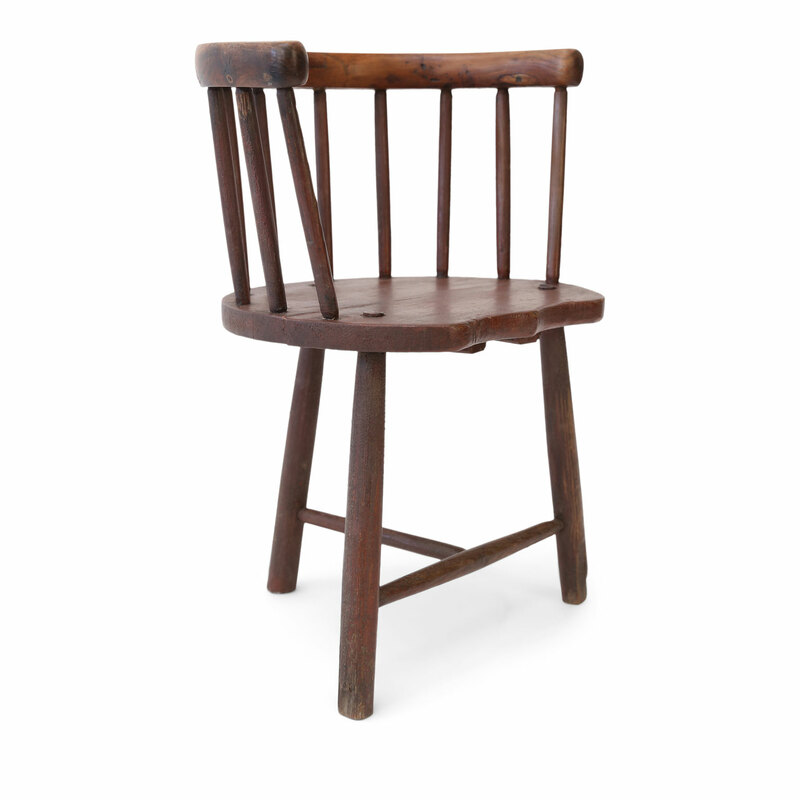 Its petite proportions make it a great fireside accent or a perfect child’s chair. 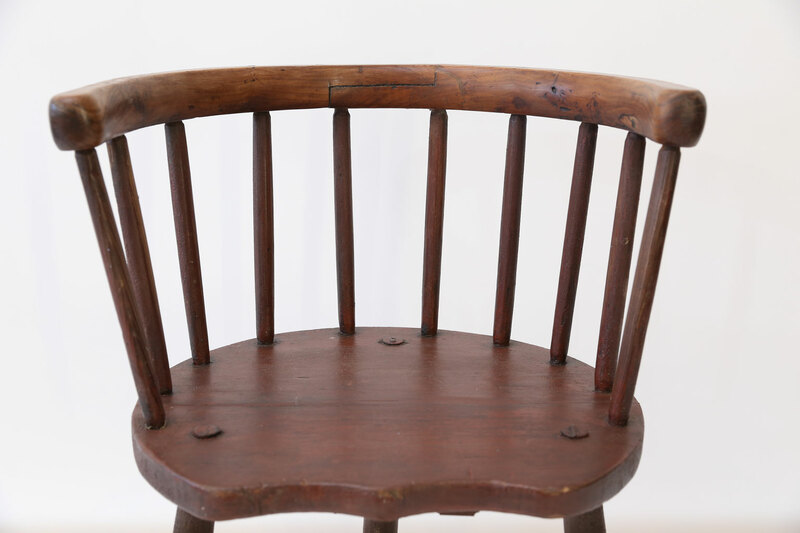 Materials: Elm, Yew, Pine and Paint.